A&R Terry Cloth Blade Covers are made of super-absorbent terry cloth and feature a unique wick-away liner that reduce your skate blades exposure to moisture. When stored, they protect your equipment from sharp blades. They are available in over 20 colors, including prints and come in 3 sizes to fit both hockey and figure skates. Sold by the pair. A&R's folding lace tightened gets your skates as tight as desired without stress to your hands thanks to its ergonomic design. 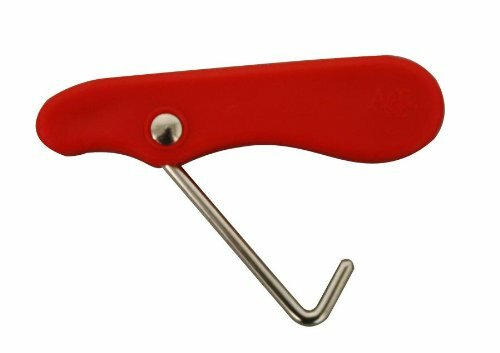 This tool opens securely to an acute angle with a beveled edge which grabs the laces and doesn't rip into them. Easily fits in your skate accessory bag. AandR Figure BladeGards are made for walking while protecting the skate blades from chipping. They feature drain holes for excess moisture and an adjustable strap to fit all size figure skates. These guards are available in many colors. A&R TuffTerrys are reinforced on the bottom, both inside and outside, with durable polypropylene. They offer a greater degree of protection from sharp blades while wicking away the moisture to help keep the skate blades rust-free. TuffTerrys are available in 3 sizes and a vast array of colors, including prints. Why do I need blade guards? 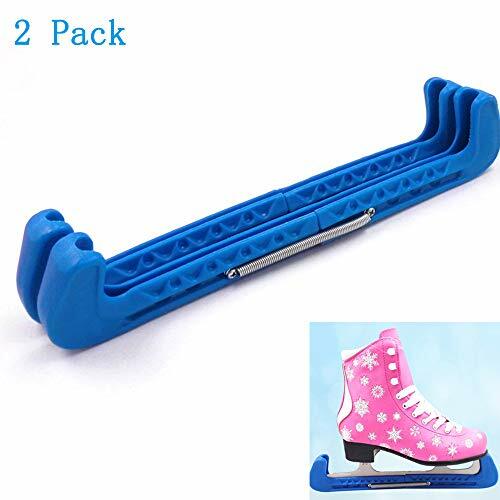 Ice skate blade covers protect you expensive skate blades from nicks and flat spots. If you are throwing your skates in a bag uncovered, there's a good chance that they are banging around inside, causing nicks to the blades that will eventually lead you to lose an edge when skating and cause an increased need for blade sharpening. Wicks Away Moisture to Prevent Rust Without blade covers, your skate blades sit in melted ice, which will eventually lead to rust. With a simple wipe down using the Athletico Skate Blade Covers, moisture is wicked away from the blades and retained inside the cover, keeping your blades safe from the accumulation of rust. Available in Three Sizes Small:Hockey Skates Medium:Hockey Skates Size 2-6. Figure Skates Size 1-5 Large:Hockey Skates > Size 7. Figure Skates > Size 6 100% SATISFACTION GUARANTEED OR YOUR MONEY BACK We believe highly in the quality of our ice skate blade covers. If you are unsatisfied with your purchase for any reason, we offer a 100% money back guarantee! ULTRA THICK TERRY CLOTH BLADE COVER - Helps protect you from the blades and the blades from you. DESIGNED TO WICK AWAY MOISTURE - The liner absorbs moisture from melted ice to prevent blade rust. 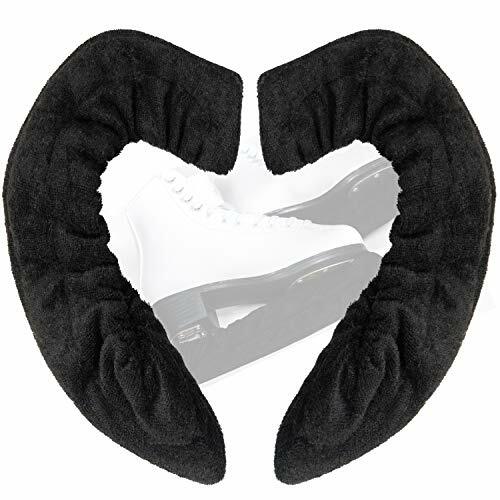 100% SATISFACTION GUARANTEED OR YOUR MONEY BACK - We believe highly in the quality of our ice skate blade covers. If you are unsatisfied with your purchase for any reason, we offer a 100% money back guarantee! Made by StoreYourBoard, the leader in sports equipment storage, this is the perfect Hockey Stick Rack to neatly organize your garage or house. 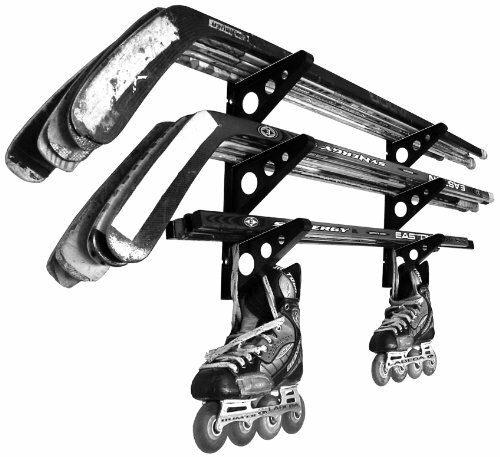 This rack can hold up to 15 hockey sticks! It will also work with field hockey and lacrosse (lax) sticks, and other sports gear like skateboards, snowboards, skis, long handled tools, garden tools, and many more. The rack is designed with two separate rack sides that can be mounted at any distance apart to accommodate any length of sticks. Also, makes a great rack for the local rink. What's in the Box: 2 Rack Sides, 4 Mounting Screws, 4 Drywall Anchors, and Instructions. Multi-purpose rack: store lacrosse sticks, skateboards, snowboards, skis, etc. 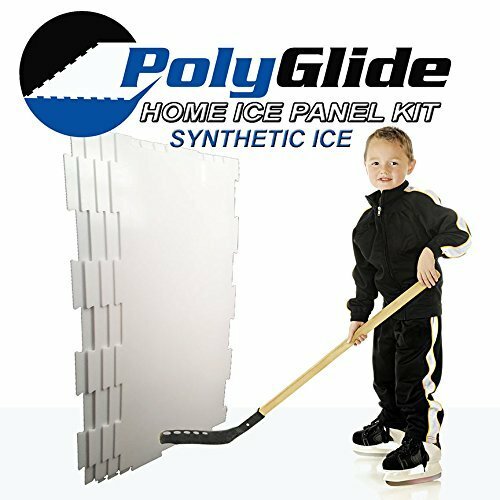 "As Seen on ABC's Shark Tank" - With PolyGlide Synthetic Ice you can easily convert any playroom, garage or outdoor patio into your own home ice rink in a matter of minutes! You can ice skate anywhere, anyplace and anytime! Solid Core, Double-Sided Panels can be skated on both sides! Off ice, nothing kills a blade like rust. Massage your hand into GIANTCLEAN Deluxe Microfiber Skate Wipe and feel the super soft, luscious, and plush difference! It is specifically designed to quickly wipe your blades dry without scratching and leaving lint residue. The split fibers enable it to hold seven times its weight in water, making it more absorbent than the conventional cotton towel. The super soft and thick material gently slides along both sides of the blades and wicks away remaining snow and moisture while protecting your hands from the sharp blades. It dries fast; just toss it in the storage bag, and it will be dry and ready when you need it again the next day. 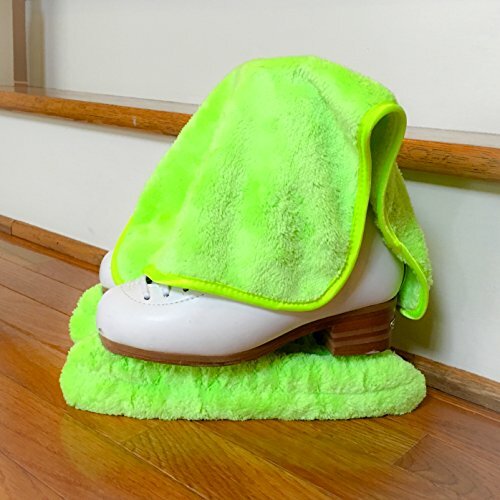 Use this ultra soft, super absorbent, and luscious thick towel to pamper your skates every day. Why Microfiber Cloth? Magical Composition - The Microfiber cloth is 80 percent polyester, 20 percent polyamide and 100 percent absorbent, luxuriously soft and comfortable. More durable than conventional cotton cloth, it is densely constructed with fibers that are about 1/100th the thickness of a human hair. The fibers are split during the manufacturing process to produce multi-stranded fibers; the cross section of the split fiber looks like an asterisk. Super Power - Water, oil, sweat, dust and bacteria are no match for Microfiber. 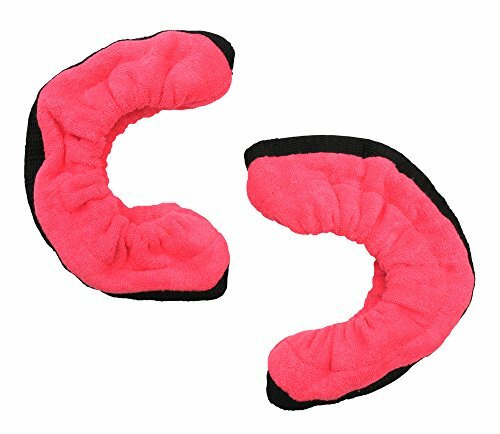 It remains soft and supple after hundreds of washing and is more absorbent, durable and cost effective than conventional cotton cloth. It can hold seven times its weight in water and features more than 200,000 microfibers per square inch of cloth. Safety - Ideal for the allergy sensitive customers, the microfiber cloth is hypoallergenic and anti-microbial. Its super-cleaning power removes 96 percent of the bacteria using just water, leading to a more natural and healthier way of living. 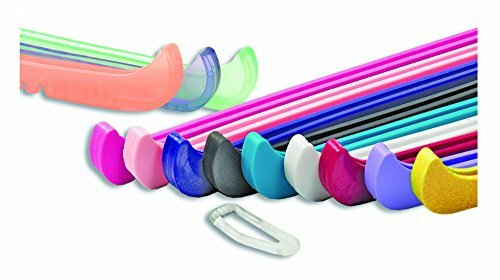 Rollergards are the ultimate in Blade edge protection. 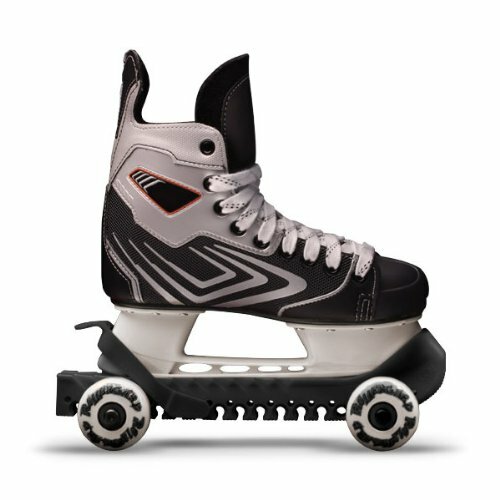 Rollergards are the world's only rolling hockey skate guard allowing you to wear your skates on and off the ice. 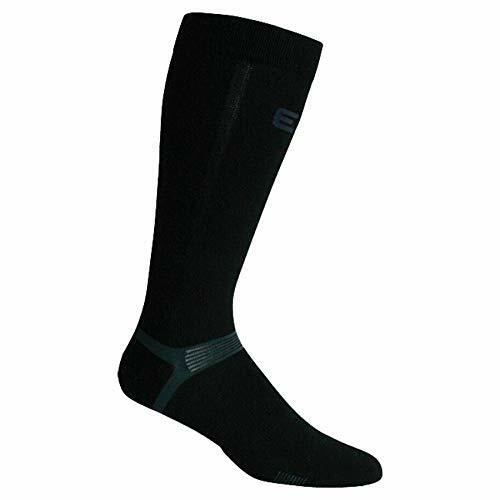 The light weight and durable design are great for off-the-ice training or for breaking in that new pair of skates. 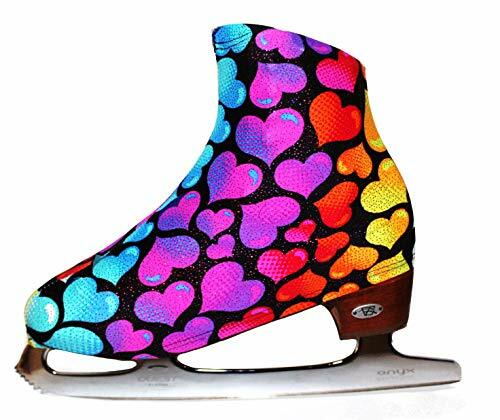 "Fantasy" ice skating boot covers.Vibrant colors boot covers will protect your skate from scratches and complete you ice skating look. AandR Hockey BladeGards are made for walking while protecting the skate blades from chipping. They feature drain holes for excess moisture and an adjustable strap to fit all size hockey skates. These guards are available in assorted colors. 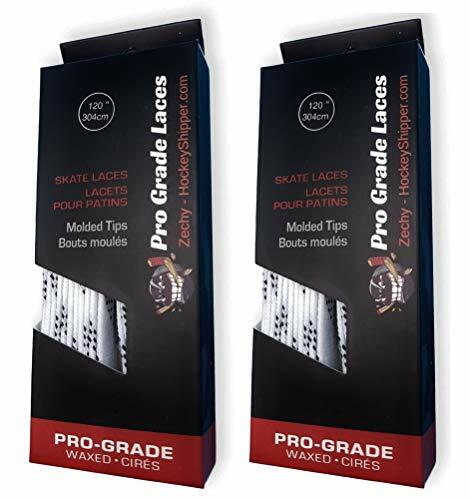 A&R's wire lace tightened gets your skates as tight as desired without lace burn. 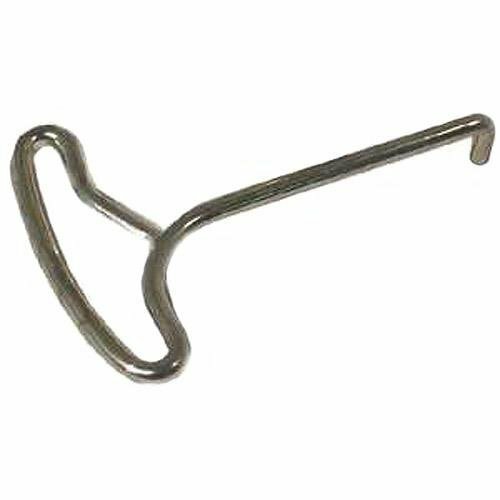 This tool has a simple wire-hook style which opens securely to an acute angle with a beveled edge which grabs the laces and doesn't rip into them. It is nickel plated and heavy-gauge. Easily fits in your skate accessory bag. 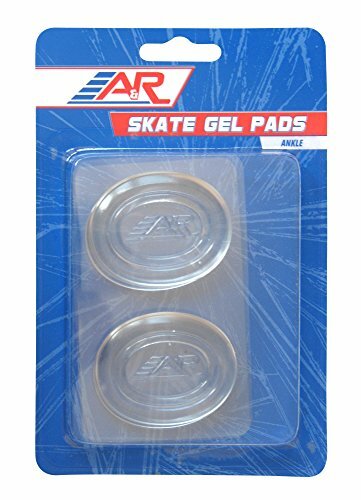 A&R Ankle Skate Gel Pads will relieve pressure off the ankles. Breaks in new skates, preventing blisters and chafing. Also help increase circulation. Peel off the adhesive film and hold firmly in place on ankle locations. - Wax hockey laces used by elite hockey players. - Durable laces that will repell water and remain in place for the entire game. - See sizing chart in the product images to ensure you get the proper size. NO MORE RE-TIGHTENING - optimum width and just the right amount of wax will hold them in place the whole game. 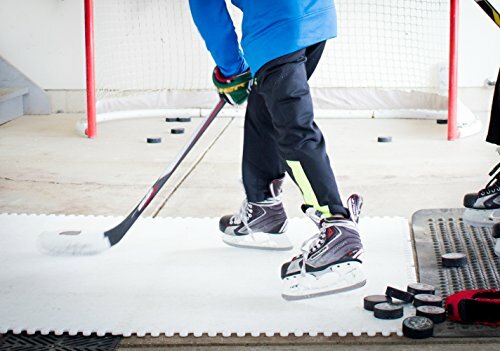 Skate guards are essential equipment for protecting your blades while walking off the ice, The included springs hold the guards securely in place while you walk, and make it easy to put them on and take them off quickly. Protects blades when walking off ice. Blade guard skate allow excessive moisture to vent. 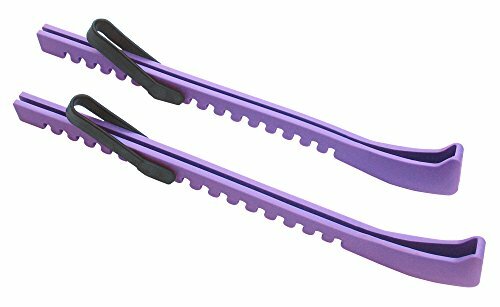 Pack of 2 plastic blade guards. Gift set for skaters and coaches.